‘Andrew is a poet with strong political beliefs and a massive environmental and social conscience, which shines through in his poetry. 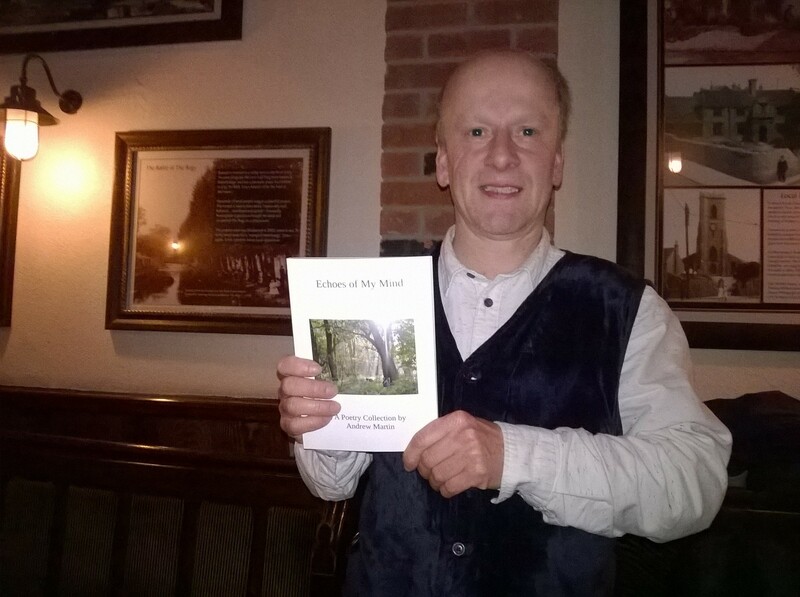 He writes from the heart with a deep sense of integrity, and his poems are instantly recognisable, with a wit and wisdom that allows him to discuss big ideas in ways that are still fully accessible. Whether he’s talking about birch trees or global migration, fox hunting or bras, the British weather or Margaret Thatcher, Andrew’s sense of humour is always evident in his work, and his judicious use of puns, rhymes and wordplay gives his work a thought-provoking depth. He is a writer of many flavours, often funny, sometimes serious, but always open to new ways of looking at the world’. Leanne Moden is a poet and producer from Nottingham. She is the director of Crosswords Spoken Word Open Mic, and is part of the team at Nottingham UNESCO City of Literature. ‘Andrew’s poetry is inventive and playful with a definite voice. He has something to say and explores different poetic tools but always remains accessible and true’. Henry Normal is a writer, poet, TV and film producer, and co-founder of Nottingham Poetry Festival.